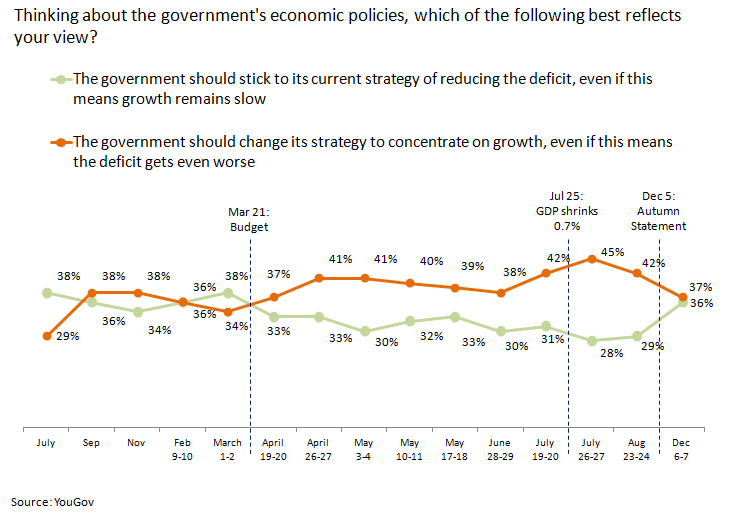 Until the omnishambles Budget, the country was pretty evenly split on whether the government should slow deficit reduction to concentrate on growth. After the Budget, ‘concentrate on growth’ opened a lead that stayed above 6pts, and reached 17pts after dire economic figures in the summer. 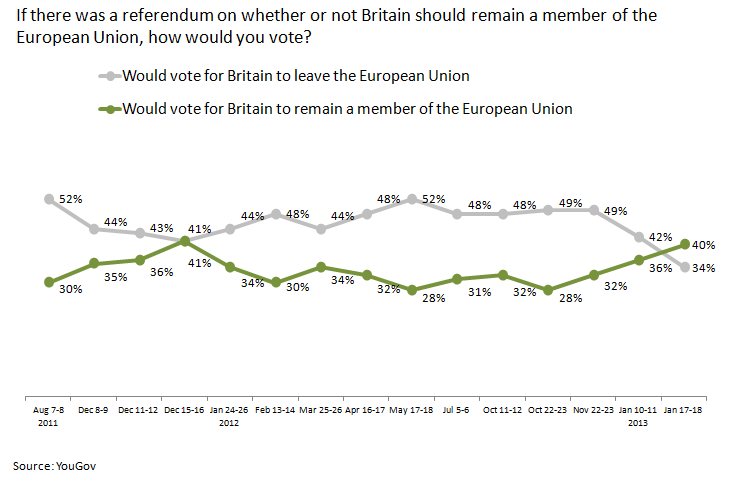 But in the poll conducted immediately after the Autumn Statement, views were back to being evenly split. 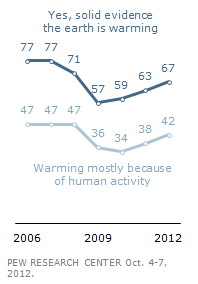 Not only is this important for debates about the future of the economy, but it also says something interesting about the public’s relationship with political news. I’m often quite an exponent of the view “the politerati are talking to themselves, the rest of the country couldn’t give a stuff”. 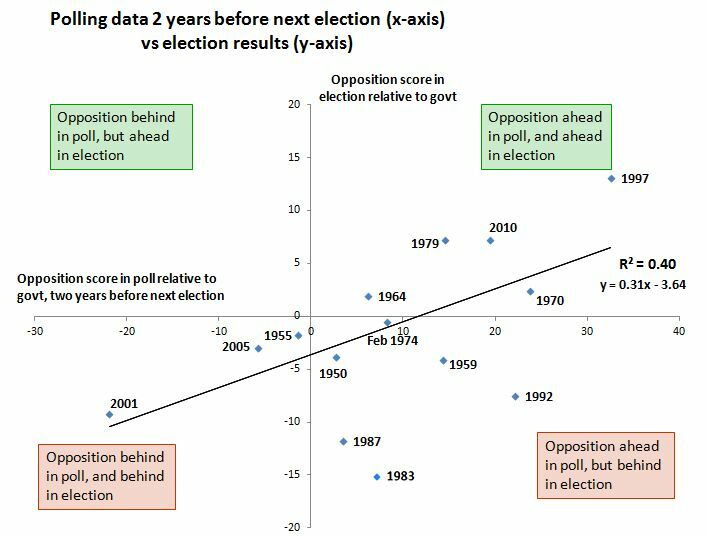 But the shifts in attitudes after the Budget and the Autumn Statement are a reminder that some political news does get widespread attention and change attitudes. After holding steady for most of the year, the proportion saying the cuts are being made too quickly has now fallen a bit further, to 44%. Clearly this isn’t good for the credibility of Labour’s line “too far, too fast”. This will be an interesting one to keep watching when more cuts start to bite. For example will personal experience of cuts to child benefits and the 1% cap start affecting views of cuts in general? This is another one that hasn’t moved far in Labour’s direction. 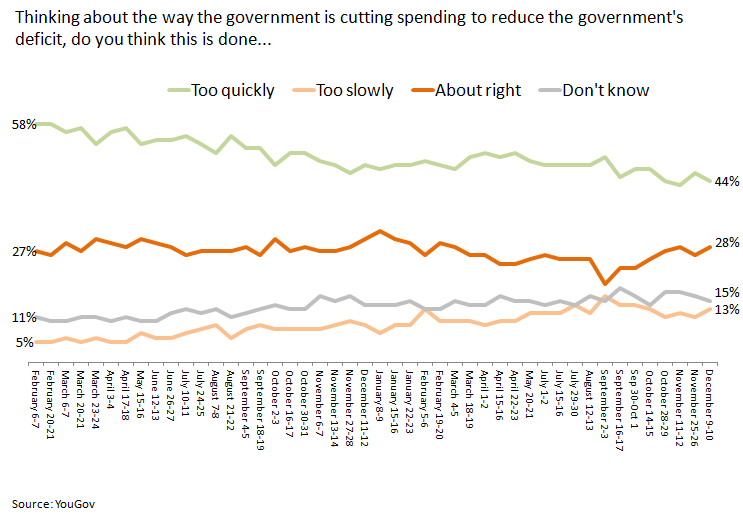 Over 2012, the proportion blaming Labour for the cuts fell from 39% to 36%: hardly a radical shift. At the same time though, the coalition have started picking up a bit more of the blame: up from 22% in January to 27% at the end of the year. 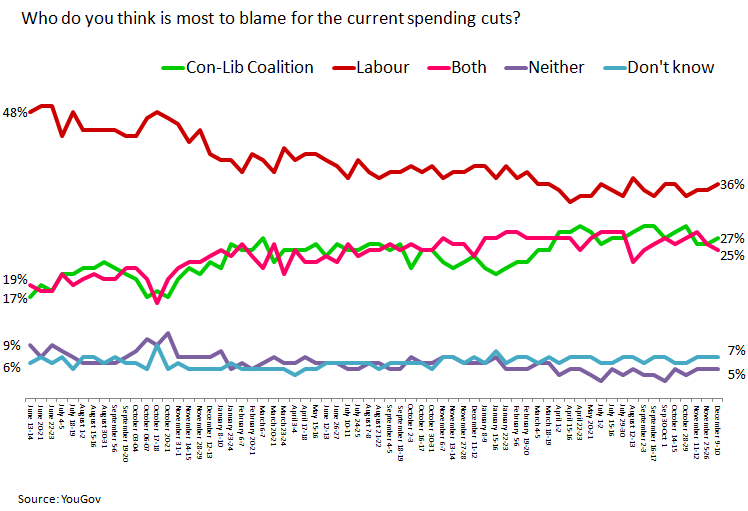 But this still means that two and half years into the government, more people blame Labour for the cuts than the current government. But underneath the economic questions, there’s a host of measures about how the parties are viewed. One of the important ones is about whether they’re seen as old and tired.